Ponchatoula Area Recreation District #1 (Ponchatoula Recreation Park) is a recreational facility offering a wide range of activities for southern Tangipahoa Parish. 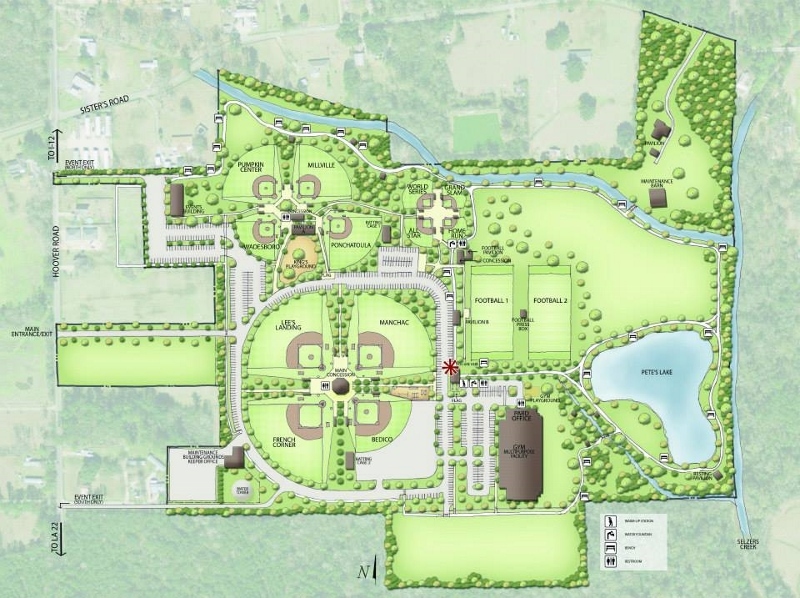 Our complex is located on a beautiful 90 acre tract of land off Hoover Road just east of Ponchatoula. Our facility has a 1.4 mile long paved walking/jogging trail that is enjoyed daily by many people throughout the area. We have two (2) playgrounds with many activities for young children. Two large pavilions offers a perfect place for families to spend time together for birthday parties, school functions, and other social events. We have many football and baseball fields for recreational leagues for children of all ages. A pond stocked with fish allows people without a boat a chance to enjoy catch and release fishing. The indigenous live oaks and pine trees along with other landscaped areas offer a beautiful place to enjoy the outdoors. Our state of the art double gymnasium, completed in 2011, includes two courts, a concession area, walking track and conference room.